Medicinal herbs are generally very recommendable for treating the effects of irritable bowel syndrome. Regardless, if you have any questions, consult your doctor. Irritable bowel syndrome is generally more common in women. We don’t know specifically what causes it, but the truth is, it is generally very painful and affects daily life for several weeks and even months. 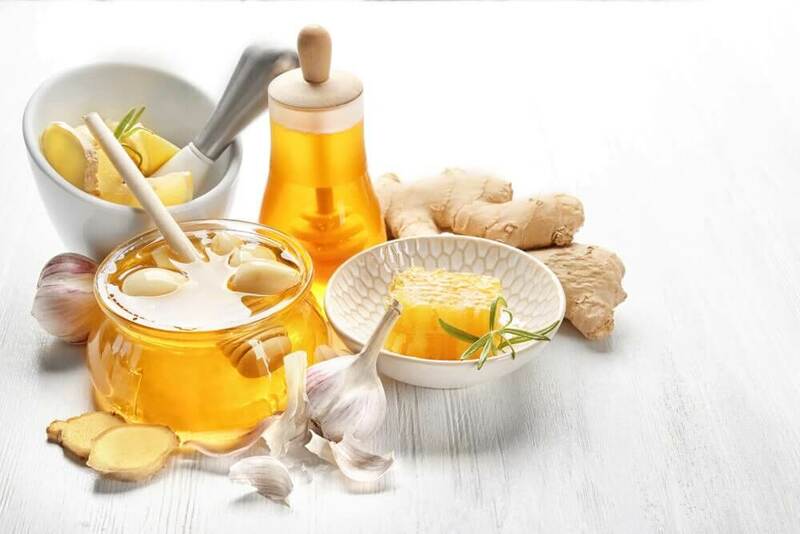 That’s why we want to offer you a few natural remedies using medicinal plants, which will provide you with some relief. The plants we are going to recommend are easily found, all you need to do is go to a herb store or a health food store to find the amount you need. Normally one teaspoon of medicinal herbs is used per cup of water. You can drink up to two cups a day. In order to benefit from the medicinal properties, it’s always best to avoid steel tea kettles; ceramic, clay or porcelain are better. 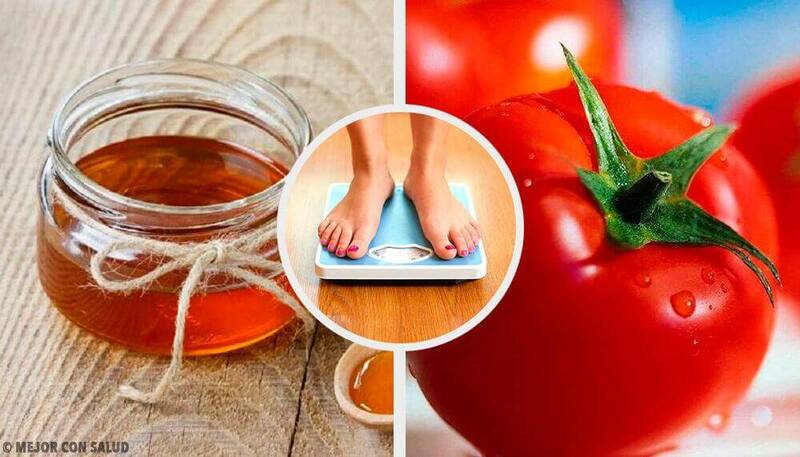 These are the most natural and you’ll get better results from the active ingredients in the medicinal herbs. This has a pleasant licorice flavor. It is undoubtedly an excellent plant for alleviating stomach and intestinal pain. Anise can help alleviates swelling, gas, and is also an antispasmodic. It’s highly recommended for people that suffer from irritable bowel syndrome. Just as a fore warning though, we need to let you know that anise is not good if you have suffered from diarrhea. This disease alternates between diarrhea and constipation; so, only use the anise if you’re going through a few days of difficult bowel movements. 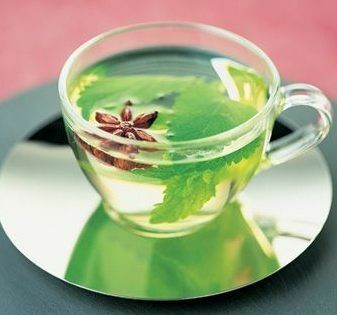 To prepare this tea, all you need is one tablespoon of anise seeds, boiled with one cup of water. Drink it with breakfast and at mid-day. Chamomile infusions are perfect for treating irritable bowel syndrome with great success. These flowers have properties capable of reducing inflammation, they’re also antibacterial and act as relaxants. Drink two cups a day. You’ll need a teaspoon of chamomile flowers to prepare this tea – you could also use the classic tea bags. Boil your water for 10 minutes and let the flowers steep for a few more minutes. 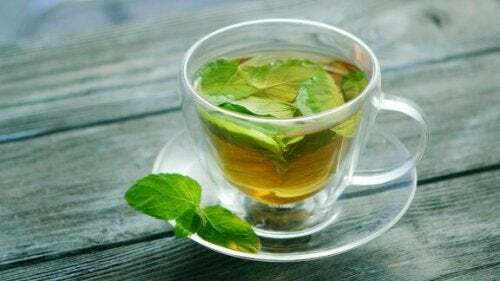 Mint belongs to the family of carminative plants, which are antispasmodics, relaxing and sedative. This means that once they arrive at the digestive system, they act directly on the stomach and intestines, reducing inflammation, pain, and providing a sense of relaxation. To prepare it, all you need is one tablespoon of dry mint. Boil one cup of water and let it steep. It’s important that you don’t include any sugar with this infusion. If you want to sweeten it, use stevia. 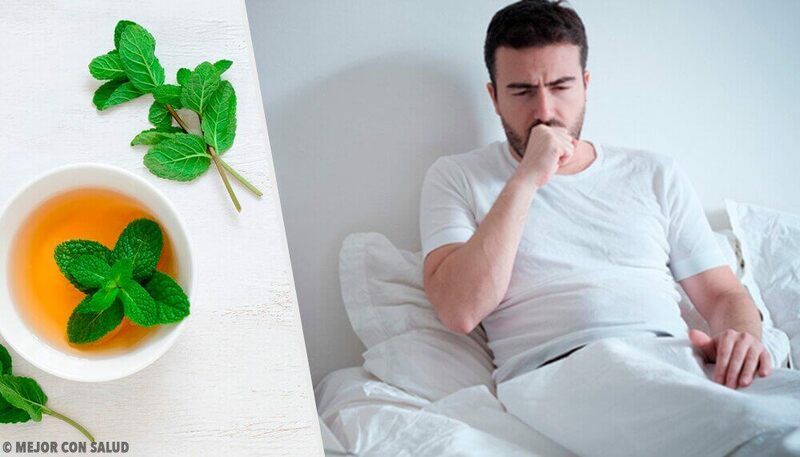 Sage infusions are great if you’re suffering from diarrhea, vomiting and dizziness. 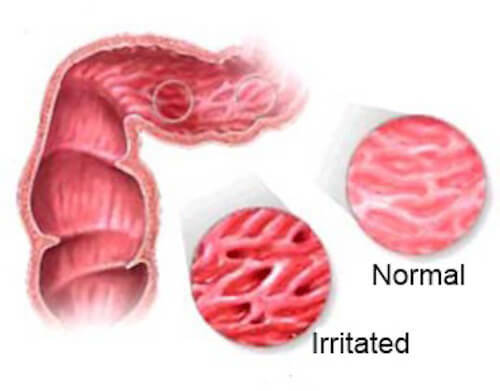 These are common symptoms with irritable bowel syndrome. This plant has astringent properties, which will greatly help you. It also provides an excellent sedative effect which will help you relax. Try it if you’re suffering from these symptoms. To make it, take 10 grams of sage, boil it with three cups of water and allow it to steep for 5 minutes. Drink up to 3 cups a day. 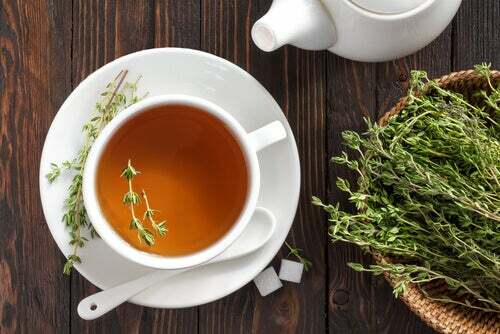 Thyme infusion is another good option if you’re suffering from irritable bowel syndrome. This medicinal plant will help your digestion, alleviate pain and inflammation, cleansing the intestines of toxins and bacteria. 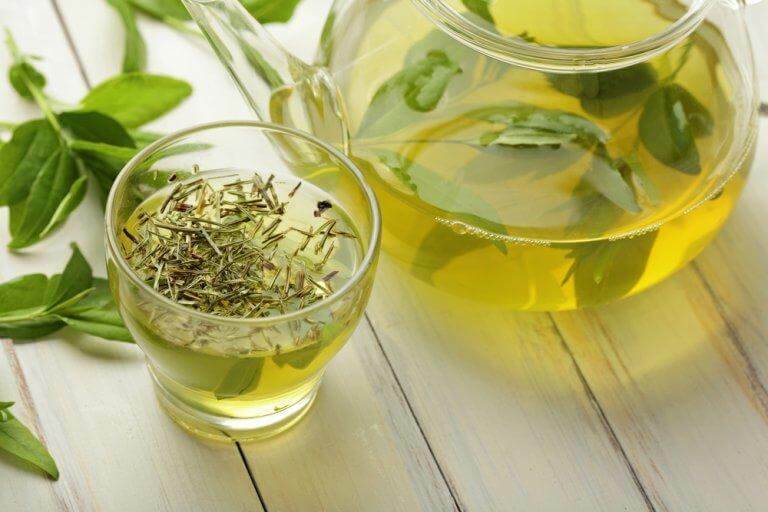 Just like the rest of the infusions, all you will need is one teaspoon of herb to one cup of boiling water. Bring to a boil and then steep for a few minutes. Fenugreek seeds are generally used for digestive system diseases, especially for protecting the intestines. They’re high in vitamin B content, which is great for calming anxiety, pain, and for regulating the body if you’re suffering from constipation. We recommend drinking just one cup a day. To prepare it, use one tablespoon of Fenugreek seeds. Boil, then steep the infusion for 5 minutes. Then simply strain through a colander and sip for relief.